Having trained as an osteopath and graduated in 2007, I was awarded a Professional Doctorate in Osteopathy at the end of 2016. During this five-year, part-time degree, I conducted research on low back pain. I first looked at why we develop low back pain and what may stop us recovering from it. I then used this research to develop an e-learning programme, offered to experienced osteopaths as a way of sharing up-to-date knowledge with them. I lastly evaluated how these osteopaths’ attitudes to back pain changed following the e-learning. I presented my research at several conferences and I am in the process of submitting manuscripts to peer-reviews journals. 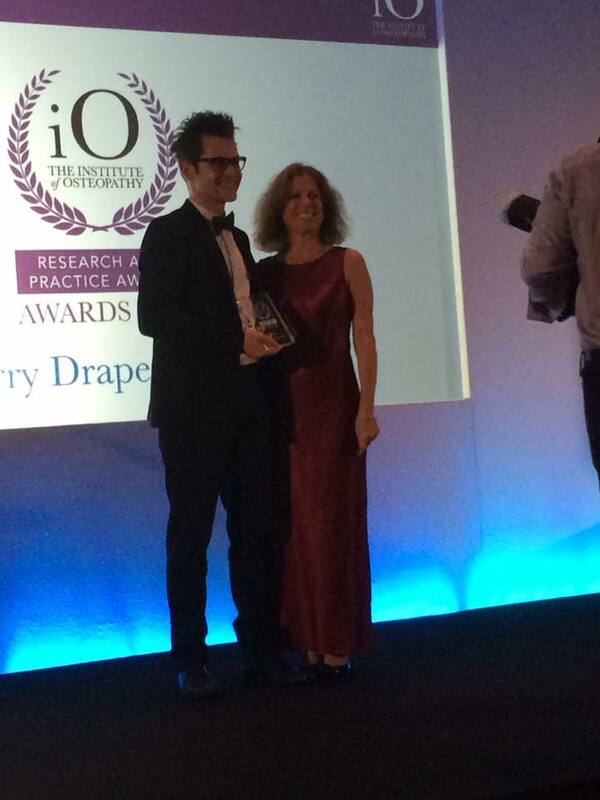 I won the Research In Practice award from the Institute in Osteopathy, more info here. This was a fascinating and sometimes challenging journey. I learned many things that have changed the way I practise a lot, e.g. the fact that sitting does not predict that people will develop a first episode of back pain. This was a surprise to me as most of my patients report sitting as being the main cause of their discomfort. It has also helped me to know how to explain back pain to patients in a way that is helpful to them. It has also drastically changed how I manage patients with long-term pain (also known as persistent or chronic pain). I was very lucky to have two extraordinary supervisors; Mr Steven Vogel and Dr Annette Bishop. Thank you to them both. So now I’m a doctor but not a medical one! I’m still an osteopath. Marketing Permissions: By ticking the box below we will make sure you continue to receive our newsletters (usually around 1 or 2 per year) containing information about various health topics that we think are useful to know for our patients. You can unsubscribe at any time by clicking the unsubscribe link in the footer of any email you receive from us, or by contacting us at jerryrodi@gmail.com. We will treat your information with respect. For more information, please see our Privacy Notice. By clicking below, you agree that we may process your information in accordance with these terms.